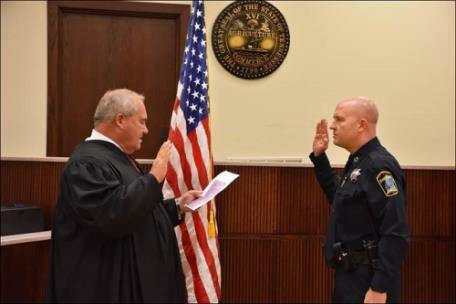 Earlier this morning, Austin Garrett was officially sworn in as Hamilton County Sheriff’s Office Chief Deputy by Judge Gary Starnes. 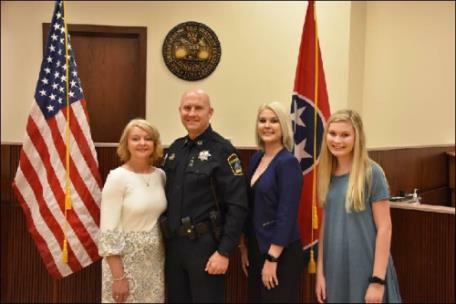 Surrounded by his family, friends, members of the Hamilton County Sheriff’s Office and numerous law enforcement personnel and elected officials from the tri-state area, Chief Deputy Garrett took the oath of office at the Hamilton County Courts Building and has officially assumed the role of Chief Deputy. 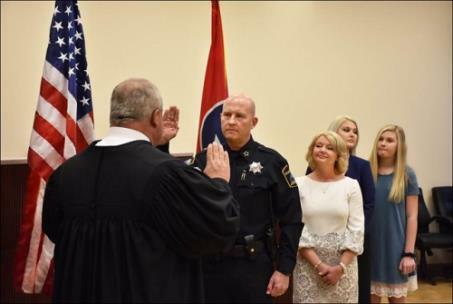 As Chief Deputy, he will serve as the second highest ranking member of the Hamilton County Sheriff’s Office and will be directly responsible for overseeing the HCSO command staff. “I am proud to continue serving the Hamilton County community,” stated Chief Deputy Garrett. 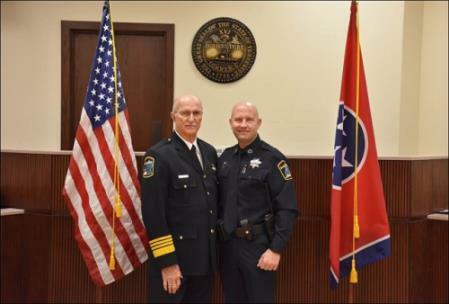 Chief Deputy Garrett recently retired from the Chattanooga Police Department as a lieutenant after 25 years of service.